Hey again everyone! Time for some more “ef – the latter tale” coverage! 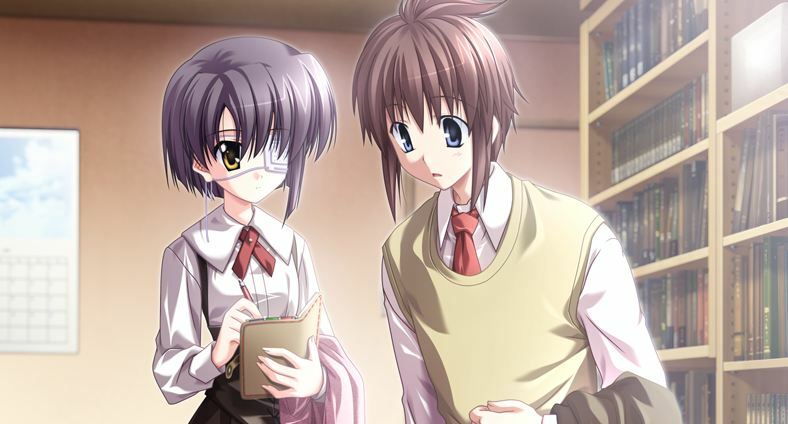 Today, I’m going to introduce you to the lead characters of the first third of the game, Chihiro and Renji. A disclaimer: As this is a sequel, there may be mentions of events that occurred in “ef – the first tale”. If, by chance, you’ve managed to avoid spoilers or the anime adaptation all this time and want to be totally surprised… well, I don’t know why you’d be reading anything about it to begin with, but you’ve been warned. Potential “ef – the first tale” spoilers ahead. That said, here we go! Renji is also a bit of a loner, as his parents’ occupations have had him moving all over the place. 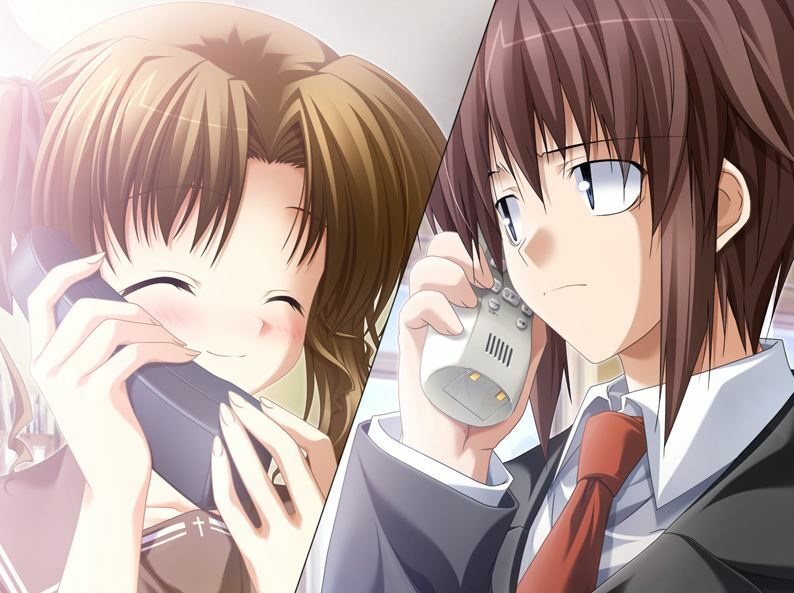 At the beginning of the story, he has very few contacts (such as his cousin Mizuki) but nobody you’d outright call a friend. Yup, the bubble-machine of a girl returns~ Is it just me, or does Renji look unamused? 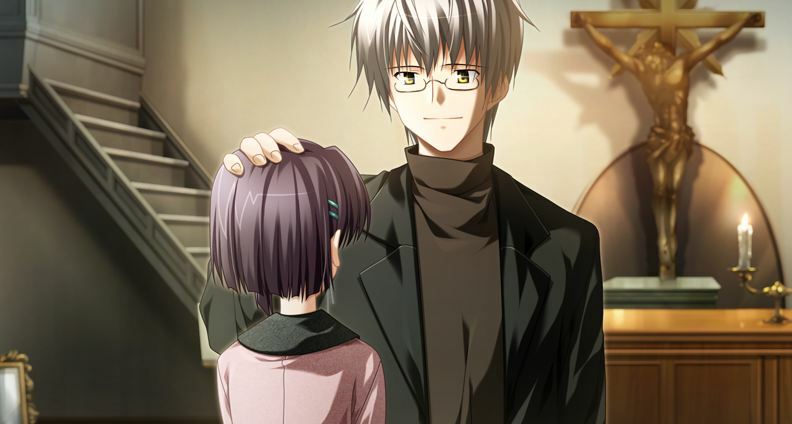 His primary interest is novels, which becomes a bonding point between him and Chihiro. Her dream is to write her own novel, and Renji seems up to the task of helping her. How will the story proceed from here? You’ll just have to find out in the game! 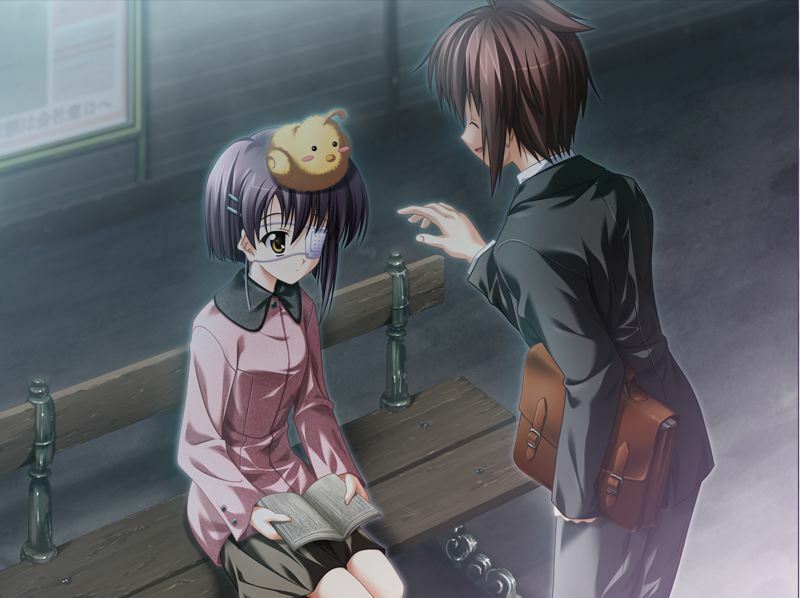 You may take solace in the fact that at least once in the game, he puts a plush chick on her head. Clearly, this is what you’ve always wanted in a visual novel. Chihiro is voiced by Maki Izumi, a well-renowned voice actress whom fans of Koihime Musou, Soul Link, and Da Capo 2 may already be familiar with. Chihiro is adorable. That is all. As for Maki Izumi / Yanase Natsumi, she’s got quite a voice range. Kohakuren from Kamidori Alchemy Meister is probably my favorite work of hers.